A boy called Paul and his satisfyingly odd parents live in a tree. On his way home from the baker’s one day (he always takes the long way home), Paul meets an orange fox on a swing. And as Paul will soon discover, all the best things in the world are orange. 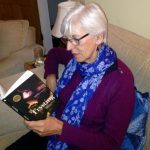 The fox teaches the boy some valuable lessons about life (which she has learned from her wise old grandfather fox), and before long she’s become his best friend. So what will happen to their somewhat unlikely friendship when Paul has to leave town? 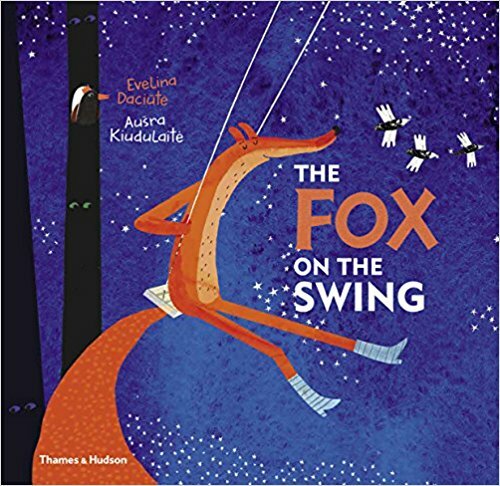 The Fox on the Swing is a pleasantly fantastical picture-book story, with sweet lessons about friendship and home; but for me it’s really Kiudulaitė’s beautiful illustrations – with a gorgeous distinctive palette and lots of lovely eye-catching detail – that make it such a treat and carry the story through to its happy end.